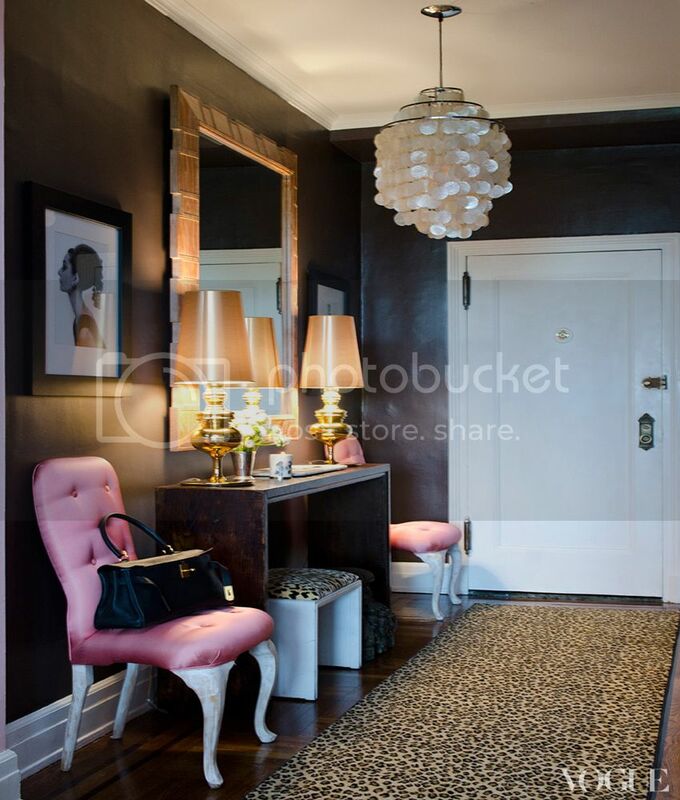 I love the sweet, feminine touches in this apartment decor. 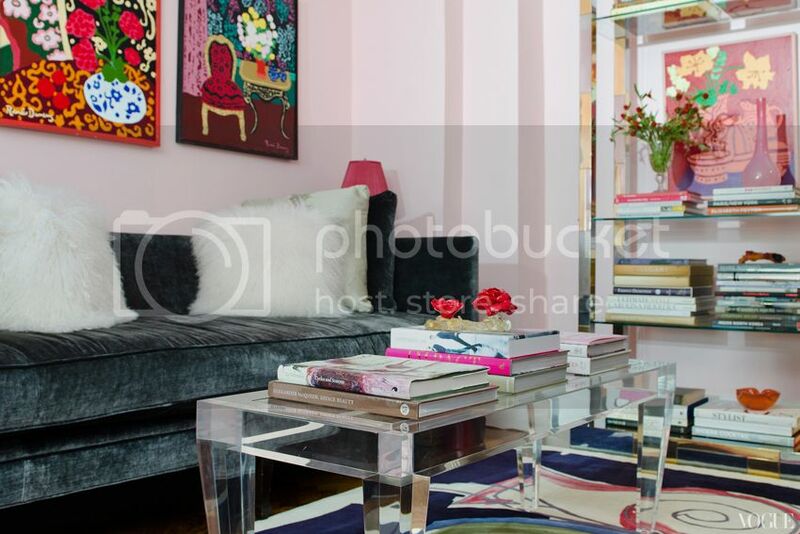 I'm not the biggest fan of pink when it comes to designing a space, but I love it's use here. It doesn't over power the rest of the colors and prints, and complements them perfectly both in darker rooms and the brighter ones. 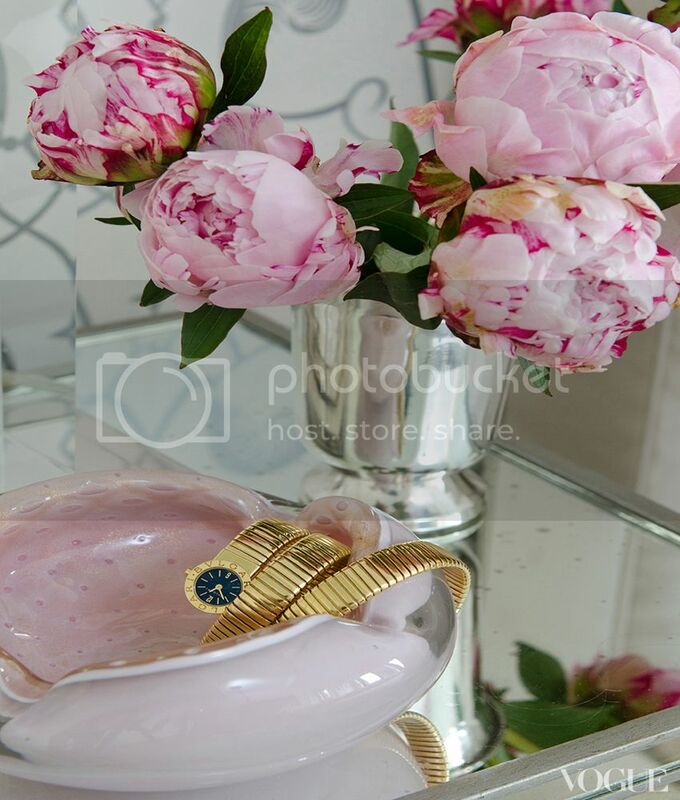 Some of the stand outs for me were the flowers (I love peonies), The clear coffee table, the mirror night stand and the amazing mirror. I certainly wouldn't mind living there. 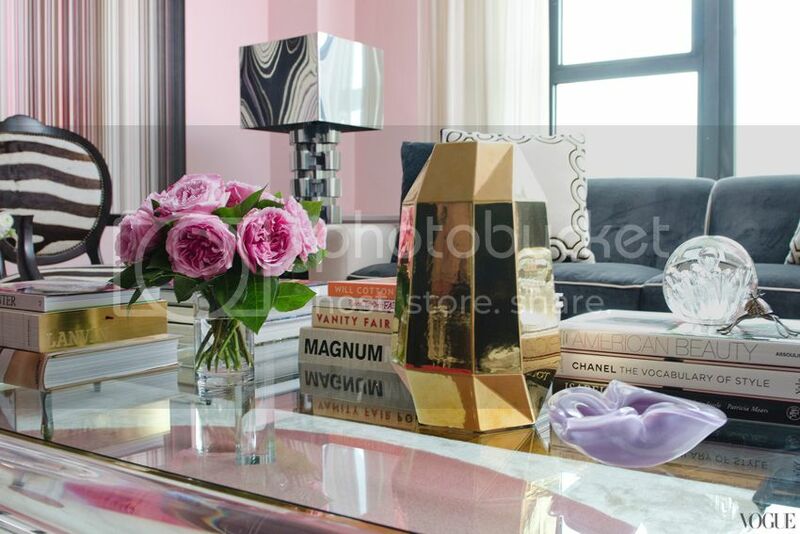 I am not into pink, but the pink in this apartment is so chic! It looks so lovely, I'd adore being in a place like this!